The Romanian countries felt a strong inclination towards the show as soon as performances became accessible to the public. The first artistic representations appeared late in relation to the international context, unlike the cinema, which was presented to the Romanian public shortly after its first displays in the European capitals. The artistic show, that of the puppeteers and “panglicari” (circus performers), was reserved for the boyars and gentlemen who received foreign troops in the privacy of their homes. The first attestation of authorization for public performances relates to the performance of three French comedians – Blesit, Bevilah and Mueni – gymnasts and mimes, to whom Hangerli-Vodă on May 29, 1798, handed a paper specifying that the performers should be received without any reluctance to show their craft. A second manifestation of the art of performance, open to a more diverse audience, is the diorama set up by the Saxon Mathias Brody between 1812 and 1816 in the courtyards of Manolache Brâncoveanu, or those of the great boyar Radu Slătineanu, at the intersection of the current Edgar Quinet and Academiei streets. The first edifice of a Romanian theatre is the one built by Domniță Ralu in 1817 at Cișmeaua Roșie, after she had previously organized some performances at Vodă Caragea’s palace. In 1827 the Literary Society proposes the formation of a national theatre. Mathias Brody’s diorama behaves like a hearth, so that in 1828 they raised the building of the Momolo Theatre, at the initiative of Eronimo Momolo, an Italian former chef at the court of Grigore Vodă Ghica. The Momolo Theatre is the scene of the first performance in Romanian. In 1849 Friederich Bossel opens a theatre and a ballroom on the upper floor of the Bossel House, located on Calea Victoriei, a prolific scene of the Romanian culture. On November 19, 1872, the Bossel Hall hosts the first show of the Romanian varieté – Apele de la Văcărești (The Waters of Văcăreşti) by Matei Millo. Occasionally, this space functions as an exhibition platform, enhancing the interest of the public for a wide array of manifestations of the arts. In fact, the very nature and variety of the first theatrical performances on the Romanian territory argue a lack of explanatory experience and an effervescent search for a national identity. This need is underlined by Nicolae Iorga, but before him, it was specified by the members of the Literary Society and those of the Philharmonic Society. The public’s permissiveness for everything that meant performance and the creative enthusiasm gave birth to the phenomenon of summer gardens in the 19th and 20th centuries. The first stage in the life of the gardens as a performance scene takes place in the second half of the 19th century when open-air spaces such as Union-Suisse, Romanian Orpheus, Rașca, Stavri, Dacia, Jignitza hosted variety shows, melodramas and, comedies. In the first two decades of the 20th century, the operetta was the main attraction in the following gardens: Oteteleşanu, Blanduzia, Ambassador, Colos, Friends of the Blind, forming a new stage of development of this phenomenon. The ’20s brought the theatre to the foreground, by being played in the gardens of Cărăbuş, Alhambra, New Theatre, Izbânda, Marconi. Since 1931, part of the summer gardens, located in the centre of Bucharest, has been dismantled to make room for new buildings, as a result of the growth of the real estate market. For the rest of the open air showrooms, this decade brought an increase in the quality of the performances. The events of the Second World War together with the safety measures have led to changes in the arrangement of spaces and the frequency of performances. The acute and very recent need for independent spaces dedicated to culture is stressed by the existence of many artists and promoters that initiate self-generated activities in the unconventional spaces. This need is particularly enhanced by the recent closure of a large number of cultural spaces that were functioning in buildings with seismic risk – cinemas, theatres and art galleries – as a consequence of applying the 282/2015 law. This article presents a non-exhaustive photographic study made in 2017 on the current situation of the theatres in Bucharest. The 160 years old I. L. Caragiale National Theatre is described as a “national cultural brand and one of Romania’s main image makers”. The original seat does not exist anymore. The current building was inaugurated in the winter of 1973, with three halls- the Grand Hall, the Small Hall and the Atelier Hall- and after modifications in 1978 a fourth one appeared – the Amphitheatre Hall. It has a total capacity of 2,880 seats. With a 72-year history, the Țăndărică Theatre is a powerful promoter of the Romanian animation theatre and art education. Nowadays the Țăndărică Hall has a capacity of 300 seats. The Anima Studio has 50 seats and is reconverted from a former warehouse. It is the host of animated theatre performances for teenagers and adults. “The Cloud Theatre” is a summer theatre with 100 seats, “Țăndărică Itinerant Theatre” is a mobile structure with 180 seats where actors can play in the districts of Bucharest under the same conditions as in the headquarters. The Ion Creangă theatre is a space destined for children, founded in 1964. The initial address of the theatre was in Piața Lahovari, but in 1976 it moved into a new headquarters in Piața Amzei. The Ion Creangă Theatre is subordinated to the General Council of the Bucharest Municipality and it is financed by the local budget, like the majority of the state theatres. Its main mission is to create shows of high artistic value and to coordinate and implement research programs and educational and formative projects destined for children under the age of 12, as well as for teachers and parents. Nowadays, its headquarters reside in the temporary no. 21-23, Biserica Amzei street or in the New Hall at no. 11, Sfânta Vineri street. The Comedy Theatre was established in the autumn of 1960 by the late actor and director Radu Beligan. It has a repertoire dedicated to the comic genre – from Shakespeare, Chekhov or Gogol to boulevard comedy, absurd theatre and dark comedy. The New Hall of the Comedy Theatre, located in the Unirii Square area (Piața Unirii) is mostly used for the performances of young artists. The Odeon Theatre is a repertoire theatre founded in 1946. Since 1974 it is located in the centre of Bucharest in a magnificent historical monument building that celebrated 100 years of existence in 2011. In the early 20th century, on the initiative of the owner Emil Lahovary, the architect Grigore Cerchez designed a large architectural ensemble: Comedia Theatre located on the side of Academiei Street, facing Calea Victoriei, flanked by two lateral bodies: to the north – shops and apartments and, to the south – Hotel Majestic. The theatre was inaugurated on December 25, 1911, followed by its independent side wings – Hotel Majestic and the northern body with apartments and shops, configuring two passages. The theatre underwent some mid-century transformations, room amplification, stage elevation, and the introduction of connecting bodies that lead to the side wings. Bombardments in 1945 affected both the theatre and the lateral bodies, especially the northern part, which was partially restored. Until the 1960s the ensemble kept its physical integrity, with some changes nevertheless. The former house was turned into the Russian Bookstore, and the Majestic Hotel was closed. In 1974, the Comedy Hall of the National Theatre becomes the Majestic Hall of the Giuleşti Theatre, which changed its name to the Odeon Theatre in 1990. The theatre is a public cultural institution managed by the General Council of the City Hall of Bucharest. It has two stage halls – Majestic Hall with a capacity of 300 seats and Studio Hall (reopened after 62 years, in 2010) with a capacity of about 100 seats. The theatre’s permanent artistic team comprises 35 actors, 2 directors, a set designer and a choreographer. In the basement of the theatre, there is the Studio Hall, a flexible and multifunctional room whose modular flooring platform allows a high diversity in arranging both the plays and the spectators’ seats. At the Constantin Tănase Theatre, you can find a type of theatre that combines the taste of great shows with social and civic satire. The Theatre of Constantin Tănase was born on May 23, 1919, when the foundation stone of the “Cărăbuş” Garden was laid on Academiei street, where the Summer Garden “The Friends of the Blinds” (Amicii orbilor) functioned. After the disappearance of Cărăbuş Company (1919 – 1939) and the death of the great popular actor Constantin Tănase (1945), the theatre functioned under other temporary names (The Estrada Ensemble, The Estrada State Theatre and, in 1962, the Satirical Theatre – Constantin Tănase) until 1990, when it was given the current name. Until 1991, the Constantin Tănase Theatre had three permanent scenes: Savoy Hall (no. 33-35, Calea Victoriei), Victoria Hall (no. 174, Calea Victoriei) and Boema Garden. 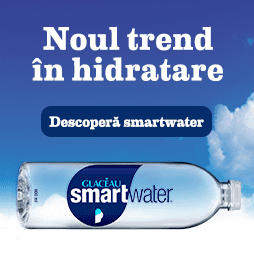 Currently, it functions in the Savoy Hall and in the HERĂSTRĂU Summer Theatre, where summer-season shows take place. The Romanian Jewish Theatre has a tradition of over 140 years, inaugurated on August 19, 1876 in Iaşi, in the famous Green Tree (Pomul Verde) garden, when the artist and writer Avram Goldfaden (1840-1908) laid the foundations of the first professional Jewish theatre in the world, presenting a show with his own troupe. One of the first chronicles at Goldfaden’s performances had the signature of the most prominent Romanian poet, Mihai Eminescu, who appreciated the actors’ play as “very good”. After a series of performances, Goldfaden and his troupe moved to Bucharest, playing in the cities they were passing through Botoșani, Galați, Brăila. The success achieved stimulated Goldfaden to create new dramatic works (among others, historical pieces of Sulamit, Joseph in Egypt, Iudith and Holofern), linked to the deepest rooted Jewish cultural traditions, from which he took over all the elements containing at least one grain of theatricality. The Jewish State Theatre in Bucharest has a distinct profile, both representative of the theatrical movement in Romania, as well as the contemporary landscape of Yiddish scenic art. The building of the Jewish State Theatre in Bucharest dates back to the last decade of the 19th century. Doctor Iuliu Barasch, who bought the land, originally intended to build a clinic here. The land was located in the heart of a Jewish neighbourhood in Bucharest, where about 300,000 Jews lived in the late 19th and early 20th centuries. After a few years here was built not a clinic, but a house of culture. In 1948 the Jewish State Theatre was established, and in 1954-1955 the building was renovated in the form that has been preserved until today. The showroom has 200 seats, a sound kit and air conditioning installation, a transliteration facility, and is also used as a conference and symposium room. In the foyer, there are often art exhibitions openings, book launches, etc. In 1946 appeared the building where today activates the C.I. Nottara Theatre with its two halls – Horia Lovinescu Hall and George Constantin Hall. The architectural project was commissioned to Radu Dudescu, who was the chief architect of the National Bank and had a private architecture office in no. 43A, C.A. Rosetti street. He prepares the project in three months so that on 31 July 1942 it is submitted to the City Hall of Bucharest – 1st Yellow District for Building Authorization. The reinforced concrete project was drawn up by the professor engineer Aurel A. Beleş. On November 26, 1942, the Mayor of the 1st Yellow District signs the Construction Authorization no. 9I. It was specified that a building with basement, ground floor and 8 floors with all reinforced concrete floors will be executed. It was also specified that the project and the management of the works belonged to the architect Radu Dudescu, and the construction will be done by the Sonaco National Construction Company owned by engineer Liviu Ciulley. The building was made up of two distinct blocks, which house different functions: block of no. 20, Take Ionescu blvd. (Magheru Blvd. today) and the block of no. 2, Jules Michelet street. It was designed with spaces for two theatres, studios and apartments, shop premises and various necessary facilities. The two theatres which functioned in it – the Odeon Theatre and the Studio Theatre – formed a body that, from a volumetric point of view, occupied the basement, the ground floor and the 1st, 2nd and 3rd floors of the Jules Michelet block of flats, having partial entrance to the basement, ground floor and floors 1 and 2 in the block on Take Ionescu blvd. The big stage hall – the Odeon Theatre – was on the ground floor on a 330 sqm area, on a 190 sqm balcony and in 80 sqm lodgings. Sonaco National Construction Company began to raise the building in the 1943 campaign but faced a number of hardships due to war conditions. In August 1946, the building was basically finished, Odeon Theatre was waiting for its inauguration in the autumn season, Studio Theatre was 80% finalized, and a large part of the apartments had already been finished. In order to undertake the acts and deeds of commerce in connection with the theatrical, cinematographic and musical performances, on May 11, 1946, the Romanian Anonymous Society Odeon was founded, based in Bucharest, at no. 20, Take Ionescu blvd. The founding members of the company were: Liviu I. Ciulley, Nicolae Ottescu, Corneliu Moldovanu, Dan Bunescu, Ion I. Ciulley and Anişoara Bunescu (n. Ciulley). The Odeon Theatre, which opened its doors in November 1946, featured A Midsummer Night’s Dream by William Shakespeare, directed by Ion Şahighian, in the building presented above. The reinforcement of the communist regime generated profound and dramatic changes in the dynamics of theatrical life. The nationalization of 1948 leads to the rapid disappearance of private theatres and the appearance of state theatres throughout the country. Under these circumstances, the Odeon team was taken over by Lucia Sturdza Bulandra, the new director of the Municipal Theatre. Theatre C.I. Nottara was founded in 1947 as the Army Theatre, and later in 1960, was given as a patronymic, the name of the actor Constantin I. Nottara. In the Horia Lovinescu Hall of the Nottara Theatre, comedy lovers will always find an appealing and joyful performance, while in George Constantin Hall, besides comedies, the actors also perform laboratory plays with perhaps lesser addressability, but which urges upon reflection, both by the themes approached and the scenic achievement. The Bulandra Theatre was founded in 1947, around the remarkable personality of Mrs Lucia Sturdza Bulandra. In 1991, at the initiative of director Elie Malka, the theatre becomes a member of the Union of European Theatres, the most important theatre continental group founded by Giorgio Strehler, alongside some famous theatre companies such as Odeon Theatre of Europe, Piccolo Teatro di Milano, Theatre Lliure of Barcelona etc. Bulandra Theatre launched the Night Lab project with the inauguration of a new hall, Liviu Ciulei Hall (Laboratory) in the second seat, located on Schitu Măgureanu street. The new modular space, conceived as a true creative lab, aims to host exciting initiatives promoted by young actors, stage designers, choreographers and other artists interested in the theatrical phenomenon. The Metropolis Theatre was founded on January 1, 2007, at the initiative of the actors George Ivaşcu and Romeo Pop, and ten months later the official launch took place. Metropolis Theatre’s repertoire features plays of all theatrical genres, concerts, special events and many other projects. On May 24, 1990, through a Government Decision, the MASCA Theatre was founded as a gesture, pantomime and body expression theatre, the only institution with this profile in Romania. In July, the same year, MASCA Theatre was operating in the basement of a building in the Aviatorilor neighbourhood, Aleea Alexandru street. There was no endowment, so everything needed to get started (writing machines, paper sheets, envelopes, etc.) was brought from home. The 20 square meters rehearsal room was set up with the financial efforts of the actors. They used the actors’ cars, brought old costumes from other theatres, borrowed sound equipment from friends, etc. Of those who started at that time, only actor Mihai Mălaimare, actress Ana-Maria Pîslaru, actor Sorin Dinculescu and director Anca Florea are still part of the troupe. In 1990, the first performance of the theatre took place on August 5th, made in record time by the six actors employed on July 1st: Anamaria Pîslaru, Dalila Gall, Sorin Dinculescu, George Ţoropoc, Florentin Duse, Tudorel Filimon and Mihai Mălaimare. The performance was presented in the open air at the “Romanian Literature Museum Cafe” and in August, Masca Theatre also went on the first tournament out of Bucharest, in Costinești. The first premiere of the MASCA Theatre, CLOWNS, took place in September 1990, in the hall arranged by the actors of the troupe, in no. 5-7, Amzei Church street. Anda Călugăreanu and Mircea Constantinescu were among the collaborators at the time. In 2017, Masca Theatre launched the new publication “MASCA NOTEBOOKS”, and the first two issues focused on Outdoor and Mask subjects. The Masca performances take place in parks and often travel to local and international festivals. Student Theatre Podul (the Bridge) has been a magical place since 1967. It is a place where the actor is what he is meant to be: the main element of the performance, the main transmitter of emotion, the one that creates the special atmosphere for which the spectator wishes to go to the theatre again and again. Founded in 2006, the Podul Theatre Association aims to promote the activity of the Student Theatre Podul, located in the attic of the Student Culture House of Bucharest, a meeting place for artists and students interested in cultural activities. In the Podul project, there have been made a lot of theatrical experiments and a lot has been created over time. The actors never gave up on what is essential in the theatre: the actor-spectator relationship, the message that connects the scene and the audience somewhere in a separate space beyond words. Student Theatre Podul was founded in the Bucharest Student Cultural House at the initiative of Magda Bordeianu and Grigore Popa, Theatre Faculty students at the time, the first performance taking place on 10 January 1968. It was the first theatre in Romania to give up the Italian stage, admitting as a playground any kind of enclosure, thus establishing a more actor-spectator dialogue. The director and mentor of the troupe were for more than four decades (since 1970 till 2013) director Cătălin Naum, who had directed many young theatre-loving professionals who have become prominent actors. Year after year, the troupe rejuvenates by adopting new members, all young people, at the beginning of the acting career. The principle of admittance in Podul is simple: “come whoever wants stays whoever can”. Currently, the troupe has 21 members, mostly students at various Bucharest educational institutions. The LUNI Theatre is an independent theatre, self-financed from the commercial activity of the Green Hours 22 jazz-café. It was founded in 1997, being the first café-theatre in Romania and one of the first independent theatres in Romania. Hundreds of artists played in the thousands of performances that took place at the club or in numerous festivals and other theatre events in the country and abroad. The Green Hours 22 jazz-café theatre evenings – LUNI Theatre – have gathered some prestigious names of the Romanian stage – Maia Morgenstern, Coca Bloos, Andreea Bibiri, Florin Piersic Jr, Marius Stănescu, Dorina Chiriac, Dragoș Bucur, etc. – in performances (especially off-off Broadway) performed by young directors, scenographers and playwrights among the most valuable – Ana Mărgineanu, Radu Afrim, Theodora Herghelegiu, Peca Ştefan, Alina Herescu, Ina Isbăşescu, Lia Bugnar, Gianina Cărbunariu- but also “consecrated” in the field, such as Alexandru Dabija, Dragoș Buhagiar, Lia Manţoc, Alexandru Tocilescu, Florin Fieroiu, etc. Founded in 1996, ARCUB – the Cultural Centre of Bucharest promotes the cultural identity of the city in all its forms of artistic expression. 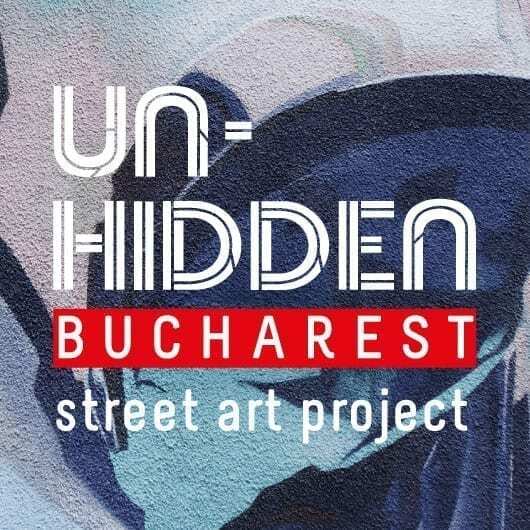 More than 200 personal or partnership-type projects are financed or supported annually by ARCUB, and some of these events are hosted in the space of the new headquarters of Lipscani Street, located on the foundation of a historic building in Bucharest. The restoration of the old inn, with its 200-year-old walls and rebuilt porcelain ornaments, was completed in 2014 and transformed into a cultural platform for Bucharest, with exhibition halls, workshops, conferences and a 200-seat showroom. The showroom on the ground floor of the cultural centre of Bucharest hosts the ARCUB theatre stage, the Bucharest International Theatre Platform, the Independent Theatre Festival UNDERCLOUD and many other events. Gianina Cărbunariu, Theodor-Cristian Popescu, Radu-Alexandru Nica, Mariana Cămărăşan are just some of the directors who sign ARCUB performances which are appreciated by both critics and the audience of Bucharest. POINT is an art hub established in one of the historical buildings in the centre of Bucharest by the architects at LAMA. The space is dedicated to cultural-artistic events such as theatre plays, visual art exhibitions, concerts, creative workshops, cinematographic screenings and cultural conferences. Godot Café -Theatre is one of the most important and active independent cultural spaces in the country. Located in the historical centre of the capital, space elegantly combines the interwar atmosphere and the modern theatre-café concept. On the stage of the theatre set up in 2010, there have been more than 400 artists, over 4000 performances, hosted in the big hall with a capacity of 150 people, or in Godot Under the Stage, the underground space where performances are played with 50-60 spectators. The cultural offer proposed by Godot Café-Theatre is extremely various, ranging from classical or contemporary theatre performances to concerts, exhibitions, book launches, improvisations or shows for children. It is one of the few active spaces throughout the year, where events are scheduled every day, offering even two or three performances a day in the weekend. Before or after the show, at Godot Café-Theatre you can also enjoy a tasty meal. We have a varied menu that includes not only sophisticated dishes and cocktails but also delicious snacks and delicious desserts. The Excelsior Theatre was founded on April 1, 1990, but the troupe settled in its own headquarters only at the beginning of the 1996-1997 season. The stage was set up in the building situated on 28, Academiei Street. Since 2011, Excelsior has been using a new space with a hall having a capacity of 180 seats. The theatre is now in a new building located on the site of the old one. In 2015, another new space for the shows was opened, the Studio Hall, with 55 seats. Elisabeta Theatre is located on the 2nd floor of a historic monument building that hosted the Austro Hungarian Club and the Romanian Small Senate. The hall features high-class shows and original productions that encourage the creativity of young artists. The Theatre from Lipscani performances covers a wide range of dramatic texts signed by classical and consecrated authors, as well as universal contemporary dramaturgy. Also, the dramatic genres included in the repertoire of the theatre are diverse, and the audience can enjoy both sparkling comedies and impressive dramas. Last but not least, the Lipscani Theatre has also been given the task of educating young and very young audiences by performing theatre plays for children. The Bucharest Art Theatre is an independent cultural institution set up in April 2010. Two years later, its own showroom was inaugurated and has a warm, intimate and elegant atmosphere. The project has been fully supported by its own resources from its very beginning and has set itself the objective, through its performances, to become a mirror of contemporary society. The Macaz Theatre proposes an engaged political theatre, alongside other projects such as the Political Theatre Platform and the Political Art Gazette. It is based on a non-hierarchical model of artistic and technical teams based on solidarity and supports the coagulation and development of an East European political theatre network. At the beginning of 2015, the Coquette Theatre appeared on the cultural map of Bucharest, on the initiative of actress Ruxandra Bălaşu, director Ingrid Bonța and with the support of visual artist Daniel Divrician. Dedicated to the independent theatre, but open to various experiments and cultural events (art exhibitions, concerts, performances, courses and workshops), Coquette Theatre aims to function as a meeting, communication and launch platform for independent artists. Situated on 94 Călăraşilor Street, in an area where Bucharest’s eclecticism is still present, Coquette Theatre – this neo-Romanian style boyar house with a discrete mark on it- is usually masked by the 4×4 cars parked near the restaurants in the area. If you enter this small mansion, you will discover the Coquette Theatre. This little theatre deserves its name. It is an interwar building as if detached from the novels of Eliade, a boyar house covered by ivy, reminding of a mysterious Bucharest from earlier times. The interior is spacious and in the hall, 19th Century early chairs await you. Space preserves the ambience of a miniature classic theatre, the generous reception hall hosting a piano, artwork, fancy chairs and some surrealistic decoration elements. All these objects seem to have a lot of stories, inspiring intimacy, and warmth. From the desire to stimulate the curiosity of a wide and diverse audience towards the young and authentic voices in the independent theatre, the theatre’s repertoire includes both shows for adults starting mostly from contemporary texts, but also for children, inspired by the classic fairy tales. Arte dell’Anima promotes theatre, music and visual arts. There are evenings of music and poetry here, and painting exhibitions of young artists wishing to be discovered by the general public. Also, the theatre encourages Romanian contemporary dramaturgy by organizing national dramaturgy contests, the prize representing the possibility that the winning play is staged on the Arte dell’Anima Theatre. Founded in 1995, Art-Inter Odeon Foundation, later The ACT Theatre Foundation, is the first independent cultural and artistic institution in Romania. The main purpose of the Foundation was to set up a multifunctional space for theatre, music, film, dance and exhibitions – a space opened in September 1998, on Calea Victoriei at number 126, with a capacity of 100 seats. Thus, 1998 is the year when ACT Theatre becomes the first independent theatre place in Romania, with its own space and projects, a producer of plays, co-producer and host for shows, a promoter of cultural activities (book launches, radio programs, meetings on themes, social events, meetings with personalities of national and international cultural life) – all in the attempt to diversify the offer and attract loyal spectators from all environments, wisely providing space for any well-intentioned and quality cultural exercise. ACT Theatre is an independent cultural institution unsubsidized to date. It was made to be independent and it survives and carries on its work through donations and sponsorships offered through the generosity of some companies and individuals. The funds thus obtained are used for the technical-administrative maintenance of the space, its modernization, the production of new performances and cultural projects. The valuable artistic activity is proved by the 5 UNITER awards (Marcel Iureş, Coca Bloos, Cristina Casian, Raluca Vermeşan, Ana Ularu) as well as by other awards and nominations in the theatre festivals in the country and abroad. In 2014 ACT Theatre received the status of Public Utility Cultural Association. Rampa is an independent theatre company founded by six young artists in 2013. The 2016-2017 season was hosted by The Ark. Apollo 111 is one of the newest cultural venues that hold a mainstream theatre stage each year, as well as a children’s theatre repertoire. Theatre performances are selected each year by a different artistic director, a season has 5 theatre productions, each being staged for only 6 weeks. The Educational Theatre is the form of theatre through which all the participants educate each other, in the spirit of creativity, spontaneity, respect, individual and group involvement, the exchange of ideas and questions, to generate artistic demarches of collective representation. Any theatre performance within the Replika Educational Theatre Centre has, more or less, an educational role. Also, access to any cultural event is free and the Replika Centre supports the formation of the young audience as an active part of their cultural actions. In 1914 a new theatre was established in Bucharest, with the name of the great actress Maria Filotti, headquartered in Sărindar Street. In the interwar period, some important newspapers of the day had their headquarters on this street: “Dimineața”, “Adevărul”. At the crossing with Brezoianu street, there was the “Universul” Palace. The current building of the Little Theatre has housed many troops, some with ephemeral existence, some more steady. After the Second World War, the theatre became a state institution and had several names in turn. In a close relationship with the Little Theatre, with which it shares performances, the Very Small Theatre is an intimate and non-conformist space. Inaugurated in 1979 with a performance directed by Silviu Purcărete, the theatre often works with young directors and playwrights who want to show their skills and start a career in the field of theatre. On June 24, 1934, the newspaper Gazeta Municipală announced the opening of the palace of the Society of Bucharest City Hall Officers (SFPMB), on Batiştei street, at number 14 bis, cornered by Nicolae Filipescu Street. The building was equipped with modern heating, lighting and ventilation facilities and the spaces were designed so that they could be rented by the entrepreneurs of the time. City Hall officers could find here a bank, a medical clinic, a pharmacy and a legal assistance centre, and the citizens of the city were expected at the bar and the restaurant in the building as well as at the bowling hall. SFPMB also provided several bathrooms and a hairdresser at the disposal of the officials passing the threshold of the newly built headquarters. The attraction of the palace was, from the beginning, the celebrations hall. With 400 sqm and state-of-the-art technical equipment, the hall has been used over the years for countless balls, evenings, gatherings, concerts and even theatre performances. In 1945, SFPMB ceased to exist, and in its place, it was installed the Romanian Association for Tightening the Ties with the Soviet Union, established since 1944. After 1947, the palace hosted a library, a reading room and even a disco. The elegant shell shape of the lateral balconies in the hall of the festivities was changed, and a simple profile was preferred instead. For decades, when the former SFPMB palace was no longer a landmark on the city map, the chance for a new life for this edifice arose with the establishment of ARCUB in 1996. Following the most recent technical expertise, the building on Batiștei street was classified as seismic risk class I. The Roman Arenas Building / Summer Theatre in Carol Park, inaugurated in 1906, is a project of the architect Leonida Negrescu, together with the engineers Elie Radu and George Constantinescu. The edifice was part of a complex of buildings for the “General Romanian Exhibition” in 1906, deployed on the Filaret Plane (Câmpia de la Filaret), dedicated to the 40th anniversary of King Carol I of Romania’s ascension to the throne. In 1918, on the occasion of the union, the park received the name of “Freedom Park“, and the theatre was renamed as “The Arenas of Freedom“. The Roman Arenas had a new moment of glory on May 9, 1935, on the occasion of the Bucharest Month, the first urbanistic exhibition in honour of the capital. The communists, who came to power after the Second World War, wrote another page in the history of the Arenas. Since 1966, for two years, the Roman Arenas entered a process of restoration and modification. The amphitheatre was closed, and the stage was raised and covered. The Exhibition Park, named Carol at the closing of the demonstration, kept its name of Freedom Park, acquired in 1918. At the Roman Arenas, there were folk concerts, theatre performances or film shows. After the revolution, the function of the place of amusement and recreation was replaced by the state with the manufacture and storage of textiles. The arenas have long been closed to the public. The Herăstrău Summer Theatre is located near the Village Museum and was built in 1956. Herăstrău Summer Theatre is a performance setting with a spectacular stage and a 2500-seat capacity, with ramps for people with disabilities and many other facilities. Designed for a capacity of 4200 seats, the theatre combines the Greek-Hellenistic model of the dialogue with the landscape and the Roman model of the perfectly delimited enclosure – with the scene closed outward through a fixed architectural decoration. As a stylistic expression, the theatre, as well as the overall composition of the park, is part of the highly idealized orientation of “socialist realism”, which combines propagandistically the classical tradition and traditions of the different nations or cultures to which it was imposed as an official doctrine. The classic models of the ancient theatre and the Renaissance portico combine with the repertoire of the Brâncoveanu style architecture (Wallachia of the 17th-18th centuries), amid the opening to nature that characterizes both the native tradition and the Greek-Hellenistic tradition, while the theme of the axially ordinated space is specifically Roman. Administered by the 4th District Council and proposed for rehabilitation in the old GUP, the Tineretului amphitheatre is located in one of the largest and dull bedroom quarters, a few hundred meters from Mărțişor – the Tudor Arghezi Memorial House, the Văcăreşti Natural Park, the Memorial of the Văcăreşti Monastery or the most recent enormous shopping centre, which would mark a few cultural functions, but may well fall into the category of commercial entertainment. What do you know about this place? Has it ever been open? Inside Bazilescu Park there is the Summer Theatre, with a capacity of 2000 seats, built in 1953 and inaugurated on the occasion of the International Youth and Students Festival. Now, the theatre, under the administration of the Ministry of Culture, is in an advanced state of decay. The Summer Theatre, an edifice made in Bucharest on the occasion of the International Youth and Students Festival, is part of an ensemble of facilities built during the same period on Bucureştii Noi Boulevard, a representative for the Stalinist architecture. The 17-hectare park, located on the west side of the boulevard, was refurbished in 1953 to provide the new building with the appropriate “green background”, the main driveway, and the surrounding theatre being designed as an open-air foyer, meant to highlight the object of architecture. The theatre is located at the end of the main east-west alley, at the centre of gravity of the park. A closed volume of the annexes of the stage is the perspective head of the alley, while the sides and the second access area, characterized by transparency, fall discreetly into the surrounding vegetation. The main façade, corresponding to the annexes of the stage, is marked by a lyre embellished fronton. The massiveness of this building body and the shortcomings generated by the positioning of the theatre were remedied by adopting a peripteral provision that assures the unity of the ensemble. The use of the same column with base and pedestal on the main façade, with the pedestal, hung in the height of the supporting wall of the amphitheatre’s embankment – on the outer contour – and without a pedestal on the inner contour of the portico surrounding the amphitheatre, creates a continuous enablement with the cornice at a height of 7.50 m. The used order, “of the original size, composition and details, comes from classical forms, in the interpretation given to them in our country. The general porch is interrupted by cracked side pavilions, with a fronton and an arcade between two pillars, marking the main entrances. Secondary access, on the opposite side, in the axis of the amphitheatre, was made by a cracked pavilion, with three intercolumns bounded by massive fillings. The original design theme required an open-air theatre with a capacity of 2000 seats with the character of a show theatre. Subsequently, the number of annexes was amplified. The stage features side pockets and has the free floor underneath to allow for trapping. The orchestra is set below the stage. The body of the stage annexes, including actors and figurines, and a foyer of the actors on the top floor, has a height of 15m cornices. The 2000 seats were placed in gradients (1,800 places) and in a covered gallery, being supplemented by covered foyers. The deviation required to achieve the gradient curve visibility was created by digging and raising the ground around the excavation. The amphitheatre’s theme is inspired by the open-air theatre in the Frunze park in the city of Soci, with the ground floor parallel with the scenes, separated by a parapet below the masonry of the balcony with concentric gradings. Inaugurated in 1916 and named Alhambra Summer Theatre, designed by architect Nicolae Nenciulescu, the Capitol Summer Theatre is a topic of great interest for feeder.ro. You can find here and here a detailed presentation of the theatre and the cinema and also more information about the campaign that aims to reactivate this space. The list is open for new entries and historical information! What are your memories concerning these places? Since 2008, Save or Cancel is a medium of communication and propagation of arts and culture, promoting and facilitating their role in contemporary society. The self-initiated multidisciplinary programs of Save or Cancel aim to identify sustainable and adaptable opportunities for the (re)valorization of the existent patrimony through architectural, cultural and editorial projects. This article is part of the “CAPITOL Cinema/ Summer Theatre cultural hub” campaign.